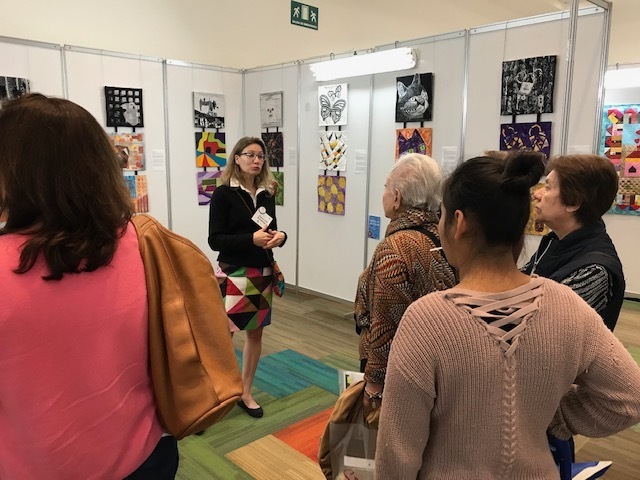 A special Expo Patchwork & Quilt Special Exhibit was held this past weekend at The World Trade Center in Mexico City. 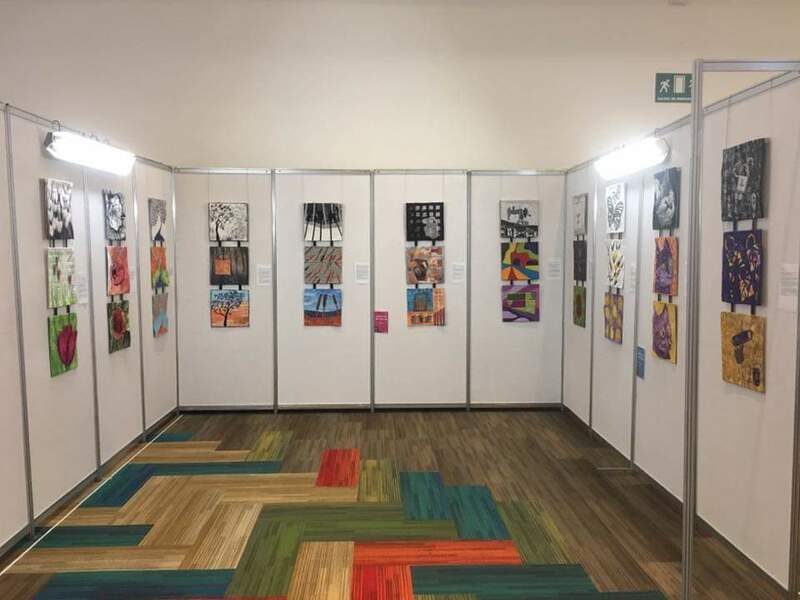 One of the exhibits was a series of works created by the 15 members of a group I belong to called Fifteen by Fifteen. 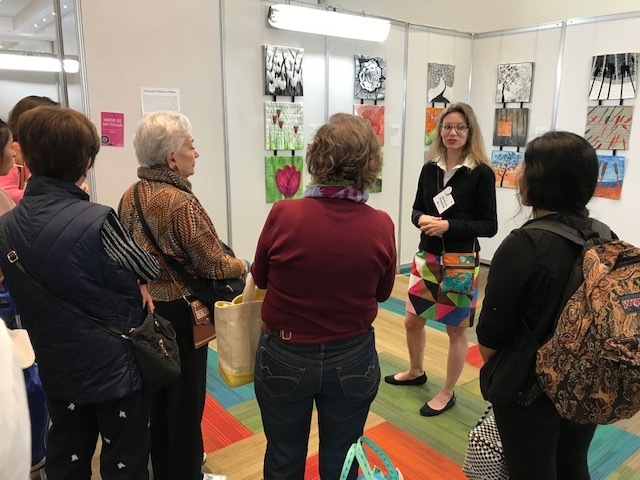 Fifteen by Fifteen is a group of like-minded textile artists from various places throughout the world, who have come together to participate in an art quilt challenge. 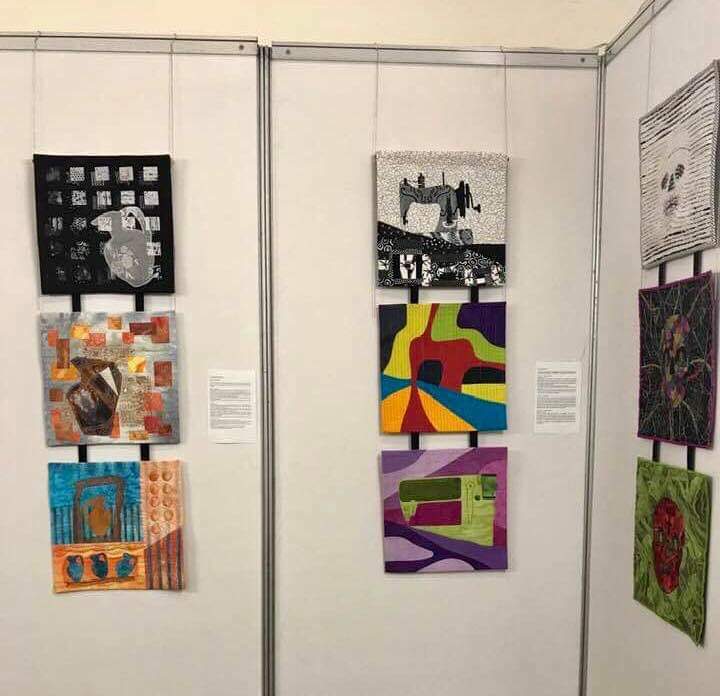 Our artistic styles vary, but we share a love of art quilting, the desire to learn and experiment, and most importantly share and grow. 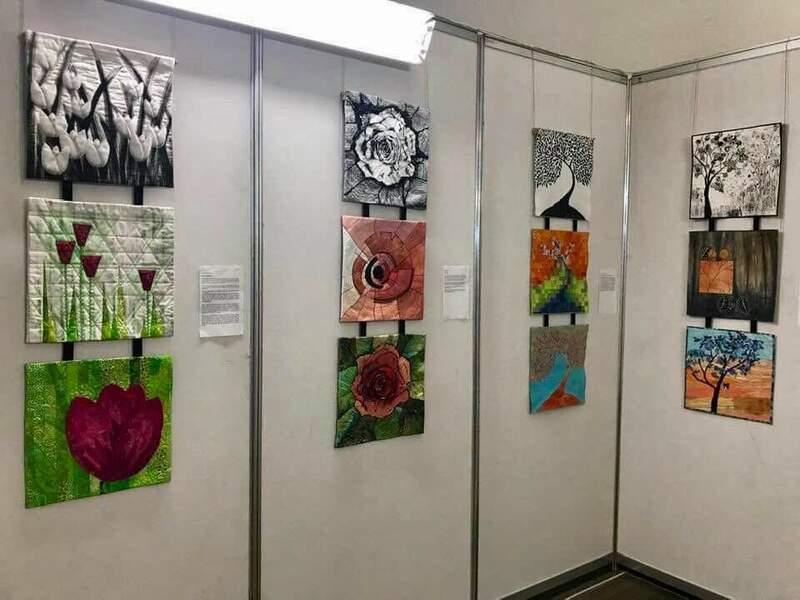 Below are images from the exhibit. One of the members, Genevieve Guadalupe is shown explaining about the artwork and about our group. I made the series of Cats, which are shown in detail on my website: Black and White Cat, Abstract Cat and Complementary Colors Cat. Visit the Fifteen by Fifteen website. 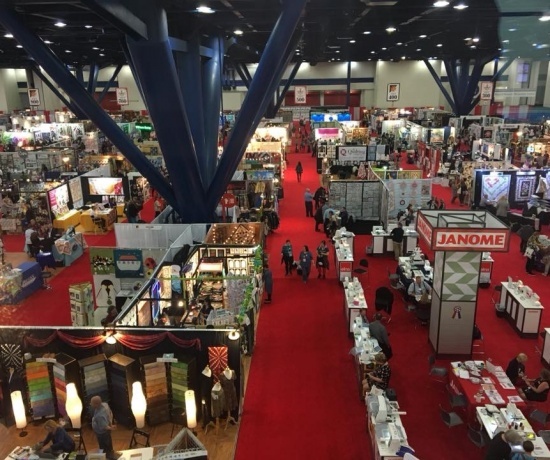 Houston Quilt Festival: What a treat!